We welcome all adults wishing to become a part of our Catholic Community. We meet on Wednesday evenings at 7:00 p.m. in the Parish Youth Center. We concentrate on the basics of the Catholic Religion and we also focus on Sunday readings. 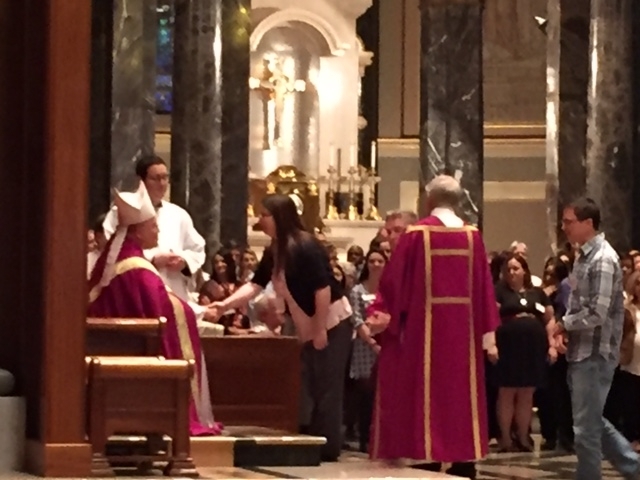 Candidates will receive the sacraments of initiation, which includes Baptism, Penance, Eucharist and Confirmation at the Easter Vigil.